Go it alone or invest in property via a property crowdfunding platform? This article’s aims are twofold; first, we will assess the reasons around why less people today are capable of making traditional property investments and accessing exclusive investment opportunities; second, we explore a several of the major benefits accrued from using crowdfunding platforms as an alternative means to invest in property. We start with a sobering fact; there is a growing number in our society that cannot afford the deposit required to purchase their first property. The Financial Times found that the average 25-year-old (graduate) working and renting in London, with realistic assumptions about their saving capacity and mortgage choices, would take over forty-one years of saving to have a large enough deposit for a £250,000 property. Shocking. Admittedly, this calculation does not take into account wage growth, personal investment performance or house price inflation over that period. Despite these critiques, the Financial Times makes a solid point, the average millennial with minimal inheritance will struggle to become a homeowner. “So what, I’m not a millennial” I hear you cry! Well, as house prices are constantly increasing at a faster rate than wage growth, a growing number of investors are incapable of buying a single property as an investment. Even if a single investor can invest, they will be unable to diversify unless they can purchase multiple properties – with the aim of minimising their exposure to volatility in local or regional residential markets. At its most exclusive, large-scale high-return investments in either residential or commercial property are only available to the wealthiest in society as they require high minimum investments. How can property investments be made both more accessible and efficient? Read on…. Improve access to large scale high return property investments and preferential tax arrangements. By aggregating funds from individual investors, Brickowner provides a platform that reduces the minimum requirements for property investments to £100. At a time where ‘getting on the property ladder’ is challenging (especially for millennials), platforms make investing in property more accessible for everyday investors. Not only is accessibility improved, property investment diversification is easy to accomplish with a platform. Investments can be spilt across different property investments. Unlike traditional buy-to-let property investments, using a platform to provide diversified investments requires minimal funds, whereas investing alone requires large investments to diversify. For the first time, as investors’ funds are aggregated, platforms provide a route for everyday investors to invest in high-scale high-return residential and commercial properties. Generally, this increases the profitability of investments made via platforms compared to traditional residential investments as they tap into high-income markets that were previously out of reach for property investors. Additionally, with investments made via a platform, income is generated in a truly passive way – Brickowner takes care of all the boring admin. In terms of tax efficiency, crowdfunded property investments avoid recent changes to buy-to-let property legislation, by accruing tax on dividends and capital gains rather than potentially higher rates of tax on income. These tax advantages overshadow traditional property investments in terms of their tax efficiently. Efficient tax structures support platforms as a low-cost method to invest in property and earn a regular passive income. Property investments made through crowdfunding platforms offer enhanced flexibility compared to traditional property investments. Assuming there is an adequate demand in the secondary market, investors can sell all or part of their stake in property investments and leave early. This not only reduces liquidity issues for property investors, but adds extra opportunities for other investors that wish to invest in properties that have already been fully funded. A novel solution to a traditionally a rigid form of investment. A new way to invest? There is a very real struggle facing first-time buyers given how inaccessible the property market can be – even to existing homeowners. Crowdfunded property investment platforms provide a great mechanism to improve access to property investments, thereby democratising the whole asset class. By aggregating investors together, platforms provide individual everyday investors with access to diversified large-scale property investments. Lastly, the preferential tax treatment of property crowdfunded investments and their enhanced flexibility provide further reasons for people to explore this new way to invest. 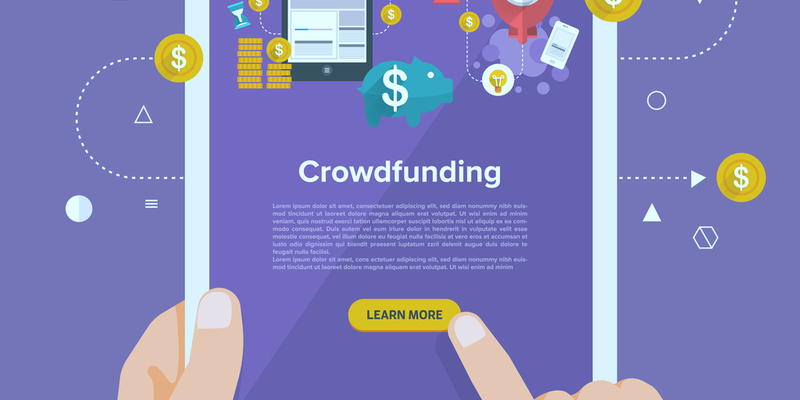 To find out more about the pro and cons of crowdfunding property investment platforms, read our blog.